The Ophiopogon Japonicus Nana is an evergreen perennial plant similar in appearance to turf. It has opposite, leathery leaves of medium texture. It spreads very slowly through rhizomes (roots that at a certain distance, ca. 3/5 cm from the mother plant, emerge from the ground to form a new plant). 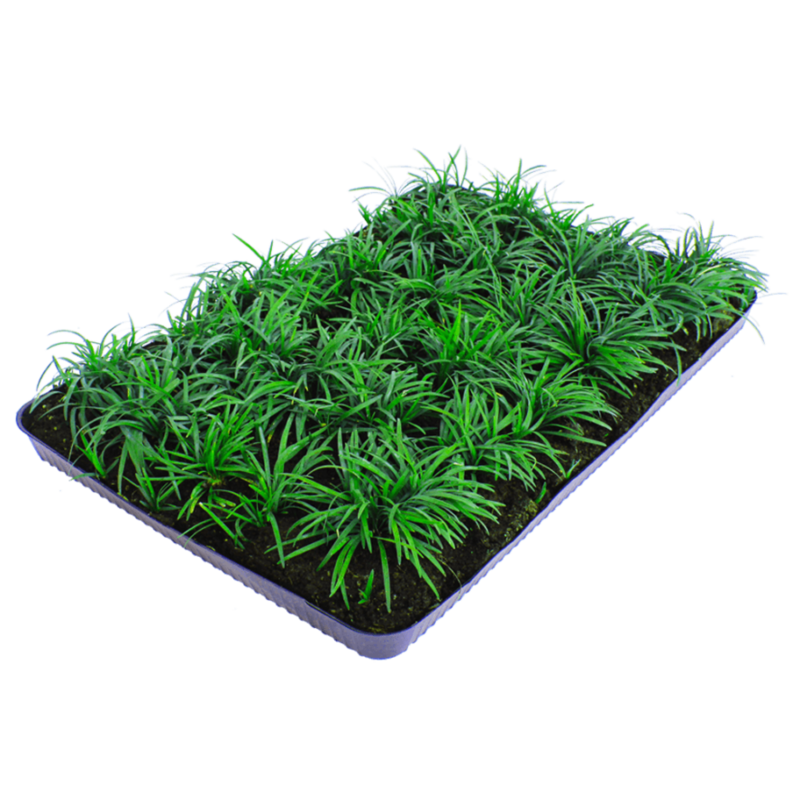 This is a slow-growing plant, therefore it requires virtually no maintenance. It tolerates fairly walking, although if damaged offers little possibility of recovery because of its slow growth. The mature clod of Ophiopogon japonicus nana of Nordest Prati can easily be placed in every shaded area instead of turf, that, because of its physiological needs, requires a few hours of direct sunlight each day in order to grow properly.